Are you working incredibly hard, but still not getting ahead? You will never “do it alone” with HSG! We will work with you to identify your most in-demand skills & experience and guide you in fulfilling your potential. Since 1998, with training and updated methodology every year, we leverage our relationships with companies to bring you in at the right time and place. SHARPEN your interview and negotiation skills. CONNECT you to the best companies in your industry or niche market. SUPPORT you until you find and are settled into a new position. MAINTAIN our relationship after the job change to ensure success. See what people say about Career Solutions! HSG has been coaching high-level professionals for more than 18 years to develop great career solutions and upgrades. We’ve directly connected more than 650 professionals to great positions, and helped thousands more strengthen their job-seeking skills and connections. We have the experience and history to bring you to your dream job! 1. 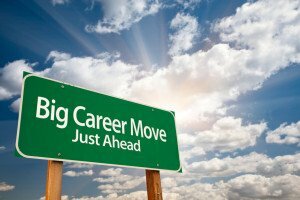 Are you ready to take the next step in your career? 2. Can you afford not to? For more information, contact us using the form to the right. Career Solutions Group (a division of HSG).